Several years ago I was in a writing class at a local county college. There were about 12 students and each of us had to introduce ourselves and mention the genres we liked to read. Well, about 10 of the students claimed they read every genre except Science Fiction. As it turned out I was sitting next to the only other SF fan. We were friendly enough until we got into a disagreement over how long it would take for a spaceship to get from the Earth to Mars--but that's a topic for another post! Though most of my friends love Star Trek, Star Wars, and a host of other SF-inspired TV shows and movies, when it comes to reading, their tastes run more towards the mainstream. 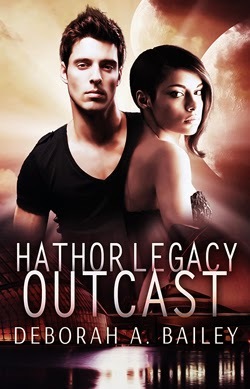 When they asked what my novel, Hathor Legacy: Outcast was about, I got more than a few blank stares. I've published non-fiction books and articles and short stories before, but this is my first novel. I talked to other fiction authors and tried to get as much feedback as I could beforehand. My book includes characters with PSI powers, so I was told the book had to be a paranormal. Another said it was Futuristic, someone else said it was an Urban Fantasy (since the book takes place in an urban setting.) But then, an editor I spoke to said it couldn’t be an UF because it didn't take place on Earth. Getting lots of opinions only made me more confused. Because I wasn't quite sure how to define my book, I started out calling it a Paranormal Romance. Unfortunately, the people I initially asked to review it were expecting a PNR and (based on their comments) weren't happy to get something totally different. The lesson I learned from that was to follow my own instincts. I saw my book as a SFR all along, but I kept asking for feedback instead of trusting that I could define my own work. Now, five months after publication, I've learned a lot from my missteps. Once I started to connect with the SFR audience, I got a better reception. Science Fiction Romance is a broad genre, so it's hard to pin it down as just one thing or another. That's what makes it so great to write in, and makes it hard to define to readers--like the ones in my class who'd never read SF and were sure they wouldn’t like it. Which brings me to my book marketing experiences. I know a few people who read all the time. But due to time demands, they read on the go, using readers, tablets and phones. They're not on Goodreads and don't spend hours on social media. They're not swayed by reviews, but they will pick up a book that's recommended by someone they know. When my book was published, I made sure to email them with my book details and buy links. Even if they've never read an SFR before, knowing someone who writes in the genre may persuade them to give it a try. After that I joined the Science Fiction Romance Brigade, which is a goldmine of information and marketing opportunities. My next step was to do a virtual book tour. I posted details about each tour stop on my blog, and posted the links on LinkedIn, Twitter and Facebook. Though I've used various sites to promote my freelance writing, I'd never done much with Pinterest. But once my book came out, I saw the potential. I created boards with themes based on my book and my interests. For instance, the "Modern Design" board has pictures of the types of buildings that could be in my story. The "Books Worth Reading" board includes my book covers and covers from other books I love. Right now I'm utilizing the platforms I already have in place, and continuing to learn from established writers. I'm just starting out with fiction book marketing, and over time I'll see what works and what doesn't. Sure, there will always be those who won't be interested, and that's okay. But there are people who might try my novel (or yours) and say, where can I get more books like this? Marketing not only gets me in front of new readers, it helps introduce more readers to the SFR genre. As a little girl when Deborah A Bailey was watching Star Trek and Twilight Zone, she was writing and drawing her own superheroine comics. When she grew up, she continued to write and followed her love of technology into a career as a computer programmer and developer. Ultimately she fulfilled a lifelong dream and completed her first novel. 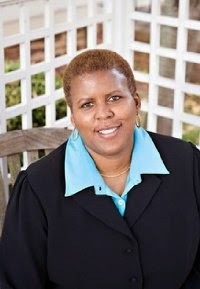 Her short stories have won awards from the Philadelphia Writers' Conference and her work has been published in US1 Magazine and the Sun. In addition to her novel, Hathor Legacy: Outcast, she has a short story collection, Electric Dreams: Seven Futuristic Tales. In her "other" life, she's a freelance business writer, internet radio host and author of three non-fiction books.